BETHLEHEM, Pa.—Lehigh University did a good job wooing Nezy Smith here. She was the sort of student colleges compete for these days – an African-American youngster raised by a single mom who took honors and AP classes but still found time for the yearbook and German club. A Lehigh admissions officer met her at her high school in Lebanon, Pa. then kept in touch for a year, urging her to visit the campus and helping her to fill out complex financial-aid forms. “He was like my guardian angel, transitioning from high school to college,” Smith said. She arrived at Lehigh in 2008, elated to experience college life. She dismissed cautions by some upperclassmen that as a minority student she might sometimes feel unwelcome on the 146-year-old campus – for instance, at parties in the hilltop fraternity houses. “No way,” she responded. But a few months into her freshman year, it happened. She and a group of black friends waited in vain outside a frat house, she recalled, while a member waved others in. Despite doing well in her business and German courses, she felt uneasy being the only black face, at times, in the classroom. By the next winter, she was gone, joining the roughly 25 to 40 percent of black and Hispanic students who start at Lehigh but don’t finish, depending on the year. The institution that had worked so hard to attract Smith hadn’t done such a good job of keeping her, spotlighting a problem seen at colleges nationwide. A lot of attention has been given to the push to make higher education more diverse, with colleges trumpeting their enrollment of underrepresented minority students. But a study released last summer by the Washington D.C.-based Education Trust, which analyzed data from 456 colleges and universities, found a disturbing gap in graduation rates when disaggregated by race. At private institutions, 73.4 percent of white students earned their degrees within six years, while only 54.7 percent of black students and 62.9 percent of Hispanic students made it through the schools they started. “Some institutions have horrendous graduation-rate gaps,” concluded the Education Trust report, which chronicled the trend from flagship public universities to the Ivy League. At the University of Mississippi, 57.9 percent of white students entering in 2001 had graduated six years later, contrasted with 42.3 percent of underrepresented minorities. At Dartmouth College in New Hampshire, the overall graduation rate was much higher – 94.8 percent of all students got their diplomas – but there was a 13.1 percentage-point gap between the white majority and their black, Latino and Native American classmates. It’s a complex problem with no silver-bullet solution. Several well-documented factors make these students less likely to succeed, from their family, economic and K-12 backgrounds to – as in Nezy Smith’s case – the social challenge of looking different from other students. 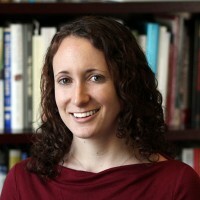 The Education Trust report recognizes that while most institutions insist that they don’t accept anyone who can’t handle the workload, some skeptics will say that the statistics reflect a problem with affirmative action at its root – that these institutions have taken in too many minority students who can’t hack it. But the study counters that reaction with another set of statistics – a list of colleges and universities where there is only a small graduation gap, or none at all: Institutions such as South Carolina’s Furman University, where the difference in graduation rates between white and black students was less than 1 percent, 85.1 to 84.5; or Rice University, in Texas, where black students graduated at a higher rate than whites, 92.6 percent to 91.8. Statistics like those led the Education Trust study to its punch line: If some schools defy the trend – and there are dozens – the gap is not inevitable. “What institutions do really matters,” said Mamie Lynch, a policy analyst who coauthored the report with colleague Jennifer Engle for the nonprofit organization. Another way to look at it: While Lehigh lost Nezy Smith, might a different institution – such as the University of Notre Dame – have kept her? Like Nezy Smith, Dominique Higgins was raised by a single mother and distinguished herself in high school – in her case, Bonita High south of Los Angeles – where she served in student government, tutored others and was a shot-putter. Last March, before its official letters went out, Higgins was among a group of minority students invited to one of three all-expenses-paid “diversity weekends” at Notre Dame’s campus in near South Bend, Ind. They arrived on a Thursday evening and assembled in La Fortuna Student Center, where their host went over the agenda for the weekend before casually announcing, “Oh, by the way, you’ve all been accepted.” After two seconds of stunned silence – Was it a joke? – the room erupted into cheers. The extraordinary attention didn’t end when Higgins arrived last August with the Class of 2014. There she was soon after setting down her white canvas bag and settling into a booth in walnut-paneled Sorin’s restaurant, invited to a lunch with several political science professors speaking that night on the future of the Latino vote. Moments later, a man in a yellow vest and bowtie wandered over. Arnel Bulaoro, who had organized the panel for Notre Dame’s multicultural office, wanted to know how Higgins was keeping up with her studies amid all the distractions on campus life like pep rallies and football games. “I’m working on it,” she promised, bobbing her head. “That’s good,” said Bulaoro, who monitors the academic performance of minority students on campus. He is keeping files on 421 this year. Notre Dame is larger than Lehigh, 8,400 students to 4,700, but both are selective private institutions with high price tags and solid student test scores. The two schools also have comparable black and Hispanic enrollments – 11 percent for the latest class at Lehigh and 14 percent at Notre Dame. But where Lehigh reported a 10-point gap in graduation rates between whites and their black and Hispanic peers in 2008, Notre Dame’s black and Hispanic undergraduates completed their degrees at a rate only 1.1 percentage points lower than the overall rate of 95.8 percent, according to the Education Trust. 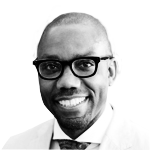 At Notre Dame, Bulaoro is one of two assistant directors of Multicultural Student Programs and Services. The other concentrates on the social side of things. The office also has a director, services coordinator, program intern, graduate student assistant and three undergraduate interns. 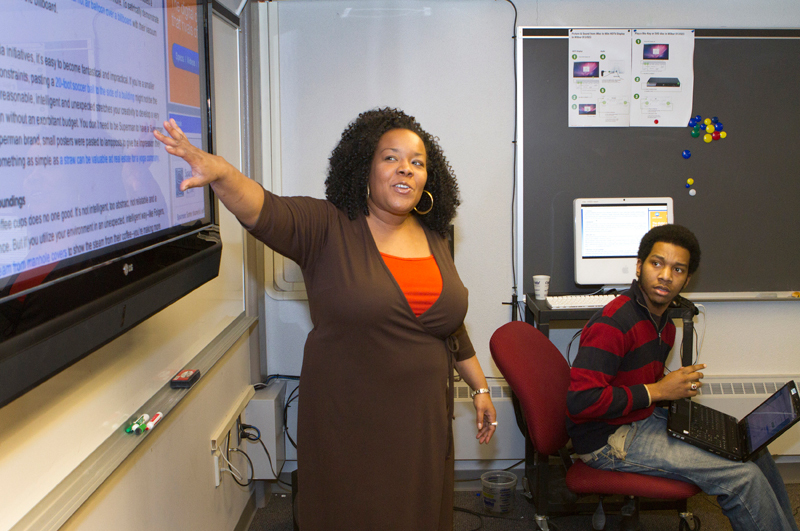 Many of the minority students are assigned faculty mentors as well. In her first semester, Higgins had gone to dinner twice at the home of hers, a business professor. “We can’t just make speeches,” said Don Pope Davis, Notre Dame’s vice president and associate provost, who has led a campaign to recruit more minority faculty members. Hoges, the office’s third director in four years, also tries to make minority students feel comfortable. Disturbed to find photos only of the school’s “white forefathers and alumni” – as he described them to the school’s newspaper – displayed in the Hawk’s Nest, a burger-and-fries eatery in the student center, he’s made a mission of ensuring that all races are represented on the walls around campus. He also urges white students to use the multicultural room in the University Center, hoping they’ll experience what it’s like to be in the minority, if only for a short time. Lehigh’s “m-room” is an inviting space, newly repainted. On a gray afternoon last semester, several girls sat around a table with textbooks open, while a boy logged onto one of three desktop computers along the back wall. ESPN’s SportsCenter played on a big TV, as another student snoozed on the large brown sofa in front of it. But everyone in the room was black or Latino. On this day, no white students had taken up Hoges on his invitation, a reminder that good intentions do not necessarily translate into successful social engineering. Perhaps no one could have made Nezy Smith feel at home at Lehigh. Perhaps the school simply wasn’t the right fit for her. Feeling snubbed at frat parties wasn’t the worst part. She would watch white students drive around campus in their cars and see the slender girls trek up and down the hill on which the campus sits. Her family couldn’t afford for her to have a car. And she had curves. She did try one outlet for black females, the “Circle of Sisters” meetings held every other Friday. But while she vented her frustrations there and to a handful of staff members, she never got the one-on-one pep talks perfected by an African-American faculty member, Kashi Johnson, who often attends the meetings. A native New Yorker, Johnson graduated from Lehigh in 1994 after “floundering” to the point of crisis. Starting in the school’s marquee engineering program – an early alumnus invented the escalator – Johnson barely survived the first weed-out classes such as Calc 21 and Chem 21, which left her with a 1.1 grade-point average. Like Nezy Smith, she also felt isolated from the larger Lehigh community. Johnson’s alienation lingered for more than a year until her mother studied her transcripts and suggested she go into theater. At first incredulous, Johnson ultimately followed her mother’s suggestion and, after graduation, did everything from King Lear to hip hop as a professional actress and director before returning to her alma mater in 1999 to teach theater. When Johnson encounters minority students thinking of dropping out, she sizes them up and gives them one of two recycled speeches about surviving life on campus. The first is “you do your time.” The second is more upbeat – what she calls her “Lehigh-is-what-you-make-it” talk. That last basic tenet of self-help – that, in the end, you’re responsible for your own happiness – has worked for many minority students here. Greg Martin, a Coast Guard kid who grew up in New York, Michigan and Connecticut, also wondered at first whether he’d made the right choice in picking a college in Pennsylvania steel country whose social life revolved around fraternities. He hung around mostly with other black students until he was named a residential advisor in a largely white dorm. “It opened my horizons,” said Martin, who became active in step-dancing and other campus events, and who will graduate this spring with a double major in political science and Africana studies. Still, many students never diversify their group of friends, he said, noting that Lehigh has organized panels on interracial dating, but one white student at most will participate. And “a lot of students have left,” he acknowledged. One was Nezy Smith, who took nearly a year off to “recover” before officially withdrawing from Lehigh in November 2009. This past fall she enrolled at Temple University in Philadelphia, where 17 percent of the student body is black. “There are a lot of people who look like me,” she said. It’s tough to imagine Dominique Higgins not getting her diploma after four years at Notre Dame. Even before she arrived last summer, Arnel Bulaoro, the multicultural staffer with the yellow vest, suggested she join the Building Bridges Mentoring Program, which connects incoming minority students with faculty and peers who share similar interests. That’s how she wound up dining twice at a professor’s home – and as one of the 421 students being tracked in Bulaoro’s computer. Building Bridges is inspired in part by research suggesting that social and academic success in college is intertwined. The multicultural office also offers other academic programs, sets students up with research opportunities and internships, reaches out to parents and – as at Lehigh – works with social groups. An emphasis on dormitory life, where students of all races are mixed, also helps to guard against an unhealthy degree of self-segregation. Still, many students report that racial tensions are minimal and say they appreciate the efforts by Notre Dame’s administration to tackle diversity issues. Higgins, the freshman from California, has steered clear of any self-segregation. In fact, her biggest problem has been the allure of the common room of her dorm, where most students are white. At Bulaoro’s urging, she finally devised a firm schedule to ensure she didn’t neglect the reading for her sociology and marketing classes. Her solution: no letting loose after classes end on Fridays. That time would be dedicated to studying. She’d make herself earn the right to join hall-mates outside her room, sprawled over those inviting sofas and chairs. Lehigh administrators were well aware of the graduation gap study by Education Trust. But Dean of Students Sharon Basso said the statistics are deceptive because Lehigh’s small minority population – black students make up only 3.2 percent of the student body – means that a few departures can skew the numbers. Still, the school last year formed a committee on minority retention and this fall announced the creation of a new position, vice provost for academic diversity. “We’ve tried to redouble our efforts,” said John Seaton, vice president of student affairs. Kashi Johnson, the theater professor and unofficial mentor, wants to see the numbers improve before she buys into such talk. “They always seem like they’re taking steps,” Johnson said. Johnson sees much of herself in Fatima O’Connor, a fellow Brooklyn native who dreams of becoming a civil engineer. O’Connor attended a high school devoted to architecture, where she discovered a passion for math. She finished fourth in her class and entered Lehigh as a first-generation college student totally unprepared for what lay ahead. Her earlier success had been grounded in regurgitating information, she realized, which didn’t cut it when trying to figure out hydraulics or thermodynamics. When her grades started to slip, O’Connor sought out her professors after class. But it didn’t help to hear the same person explain the same concept the same way she hadn’t understood the first time. She partly blames herself for “not paying more attention to all the opportunities for help,” such as tutoring. By last year, her junior year, O’Connor had lost her scholarship and was put on academic probation. Then she took a semester off. That a student might struggle to master thermodynamics isn’t surprising. But O’Connor wondered whether others face the sort of life burdens she does, like having to work two jobs on campus so she can send money to her older brother, who is caring for an infant son. One job is behind the counter of a bookstore café, as a cashier. The other, every Tuesday and Thursday night, has her monitoring a computer lab before shooing out the students at midnight. Then she locks up and stays on to study, in total quiet, until 2 or 3 in the morning. O’Connor calls this her “second junior year,” and it’s make-or-break time if she is to graduate from Lehigh. She meets regularly now with both Johnson and her dean. But the professor’s old success formula – leaving engineering for theater – is not one the 22-year-old has any intention of following. For just as much as Johnson loved Shakespeare, O’Connor still loves thermodynamics. “I want it badly,” she said. The tutoring, mentoring and late nights in the computer lab paid off in grades that got her off probation this semester and back on scholarship. O’Connor is now thinking that her training in Lehigh’s best-known specialty should be a ticket to graduate school in engineering.